If you love the cartoon SpongeBob, then you obviously appreciate this addition. 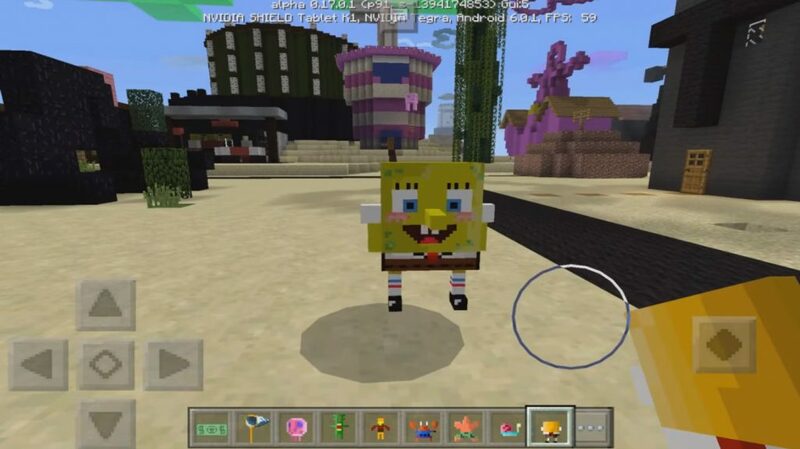 Now you will have SpongeBob mod, which will add characters from your favorite cartoon to your MCPE. And now in your world will run thirteen new mobs. Almost all of them will be friendly to you, so they will not create problems for you. But noisy in the world will be for sure. If you really love this cartoon, then you will be familiar with all the characters. And you will approximately guess the tactics of their behavior. In any case, you will be very interested with them. 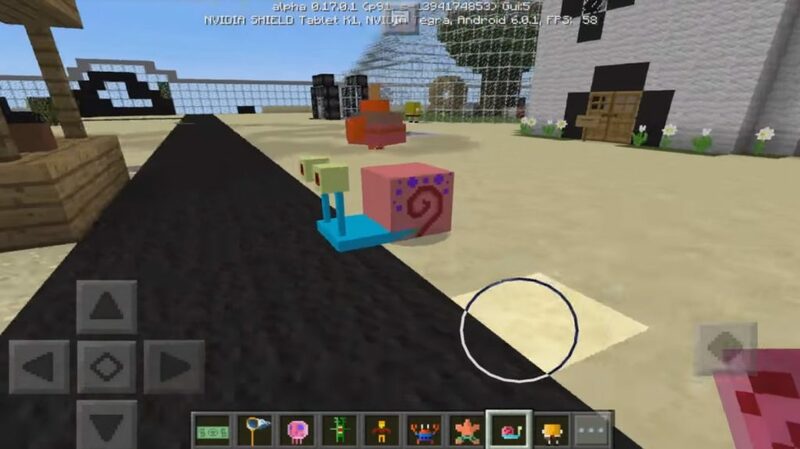 That is why we offer you to download the SpongeBob mod for Minecraft 1.0, 0.17.0, 0.17.1, 0.16.0, 0.16.1 for free and immediately start the game. You will see that it is really fun.